Brendan Gannon practices in the Rains Lucia Stern St. Phalle & Silver Personal Injury Group. 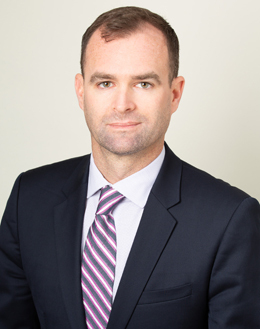 In the last few years, Brendan has become an accomplished civil litigator in a variety of areas, including premises liability, professional malpractice, auto and bicycle accidents, as well as business disputes, having successfully litigated multiple cases to settlement. In 2007, Brendan received a Bachelor of Arts from the University of Central Florida. After completing his undergraduate degree, Brendan worked as a lobbyist for NASA in the District of Colombia. In 2014, Brendan received his Juris Doctorate from University of California, Hastings College of the Law, and was subsequently admitted to the State Bar of California. He is admitted to practice in the U.S. District Court, Northern District of California, Northern District of Illinois and the Northern District of Georgia. After law school, Brendan represented indigent criminal defendants for the Los Angeles and San Francisco Public Defender’s Office. During this time, Brendan served as a dedicated advocate for his clients, and he took multiple cases from arraignment to jury trial verdict. Afterwards, in 2016 and 2017, Brendan was an associate attorney at the Hersh & Hersh law firm in San Francisco, where he practiced civil litigation. Brendan was born in Cocoa Beach, Florida, and raised in Dublin, Ireland. His Irish parents and family emigrated to the United States when Brendan was 13 years old. In his free time, Brendan loves to surf, read, and watch the San Francisco Giants.